Tanmoy Ray’s earlier posts on our other website – biomedical careers & jobs and PhD in Biomedical Sciences – became so popular that we had to stop readers from posting new comments. In his classic style of writing detailed (almost Wikipedia type articles), Tanmoy now tackles another career option, in the Pharmaceutical industry. In the 2-part series, the first one focusses on the best Pharmacy courses. Pharmacy is commonly considered as a shop (also known as Medical Store or Chemist) where medicines are being sold or prepared. In the broad sense, Pharmacy is a marriage between Health Sciences and Chemistry. You could also term it as a Love Triangle that involves Medicine, Biology and Chemistry. Yes, it is as overlapping and inter-related as Bio-Medical Sciences. A Pharmacist (one who has got sufficient knowledge of Pharmacy or practises Pharmacy) technically should possess more knowledge than a Medical Doctor regarding medicinal drugs – composition (or formulation) of a drug, effects/interaction with the biological system, physical and chemical properties, therapeutic doses, side-effects, interactions with other drugs. Besides, pharmacists also play an important role in advising and counselling patients, and prescribing medicines. However, pharmacists are not medical doctors – they do not conduct diagnosis and/or surgeries on patients. Globally Pharmacy is considered as noble as the Medical profession, if not more. Read more on What does a Pharmacist do? Minor subjects or modules will include – Hospital Pharmacy, Clinical Pharmacy, Immunology, Marketing & Business Management, Electronics & Computer Science (or Applications), Engineering Drawing, Engineering Mathematics, Statistics, Pharmaceutical Biotechnology, Computational Chemistry – this is not a comprehensive list of minor and elective modules. Pharmacy – as explained earlier, is a branch of science that deals with preparation and dispensing of medicines. It will be mainly focused towards Clinical and Community Pharmacy. Pharm.D is the preferable course if you wish to get on to this side. It is a course with duration of 2 years, followed by an internship of 3 months. The eligibility criteria is 10+2 with Physics and Chemistry being mandatory subjects, and any one between Biology and Mathematics. After successful completion of the Diploma program, one can be employed in a Pharmacy shop. After registering with the Pharmacy Council of India (PCI) and/or the State Pharmacy Council, one can also set up his/her own Pharmacy store. The diploma course provides the basic concepts and does not provide any specialization. Diploma graduates can also get admission into the 2nd year of the Bachelor of Pharmacy program (Lateral Entry). You can have a list of D.Pharm Colleges here. It is a 4-year undergraduate course with the same entry requirements as D.Pharm. Pharmacy graduates can have several career opportunities in both government and private sectors. Even if you cannot make it to the top Pharmacy colleges in the country (I am personally not too much in favour of Rankings and Reputation of institutes), please make sure that the college is approved by both PCI and AICTE. For reference of parents and students, here is the list of PCI Approved Degree Colleges. I did my B.Pharm from Gupta College of Technological Sciences, which might not be the most glamorous or prestigious institute in India. But, it is an institute specialized for Pharmacy education only; and it is approved/recognized by both AICTE and PCI. Pharm.D is among the latest pharmacy programs, introduced in 2008 by the Indian Government and the PCI. It is a 6-year professional doctoral program in pharmacy, which also includes 1 year of internship or residency. Entry requirements are similar to D.Pharma and B.Pharma programs. B.Pharma graduates can be admitted in to the 4th year of the Pharm.D program as lateral entry – it will be a 3-year course (Pharm.D Post Baccalaureate), which includes 2 years of studies and 1-year internship or residency. For further details please refer to the Pharm.D FAQs (PCI). Now students who are in their 10+2 phase might be get confused between B.Pharma and Pharm.D. Pharm.D is strategically designed for those students who want to have a career in hospital, clinical or community pharmacy. The course structure revolves mainly around clinical pharmacy, and is also on par with global standards. If you wish to pursue a career as a Traditional Pharmacist in India or abroad, then Pharm.D will serve the purpose better. B.Pharma program provides a well-balanced exposure to students who wish to have a career in research, quality control, marketing apart from clinical pharmacy. Here is a nice article on Pharm.D vs B.Pharm. It is a 2-year Masters program that allows you to specialize in one of the branches of Pharmacy (or rather Pharmaceutical Sciences). Minimum entry requirements will be B.Pharm degree. I have chosen a few top Pharmacy Colleges based on rankings on various Indian websites, communication with peers and reviewing the course curriculum (as per as my best knowledge). Please be advised that they are not actually in a particular order. As you can see that the field of Pharmacy & Pharmaceutical Sciences is very broad. Likewise, the career opportunities after studying Pharmacy is also very wide and open – both in terms of job profiles and job sectors. The first advantage about studying Pharmacy is that you study variety of subjects. You can have the opportunity to study the fundamental basics of Biology, Chemistry and Physics (to some extent though) besides having a broad overview on applied subjects like Pharmacology, Pharmaceutics, Medicinal Chemistry, Clinical Pharmacy, Biochemistry etc. The field gives you a good opportunity to understand what interests you. Hence, after graduation you can have multiple career options (jobs and higher studies). During my 10+2 days, I have a knack to pursue a career research work at the interface of biology and chemistry. Hence, I took the decision to study Pharmacy after finishing school. A majority of B.Pharm (or Pharm.D) students end up in the field of Pharmacy because they could not crack the Medical Entrance Exams or could not get in to one of the top engineering colleges. If you had desire of becoming an Engineer, but you did not end up studying engineering, you can still pursue your underlying passion by having a career in the field of Bio-Medical Engineering. As a bio-medical engineer, you can do a lot of cool stuff as exciting as in the other fields of engineering. Similarly, if you miss out on becoming a Medical Doctor or Dentist, you can still remain very close to the field by studying Pharmacy. You can enjoy medical research if you pursue higher studies in any of the branches of Bio-Medical Sciences. 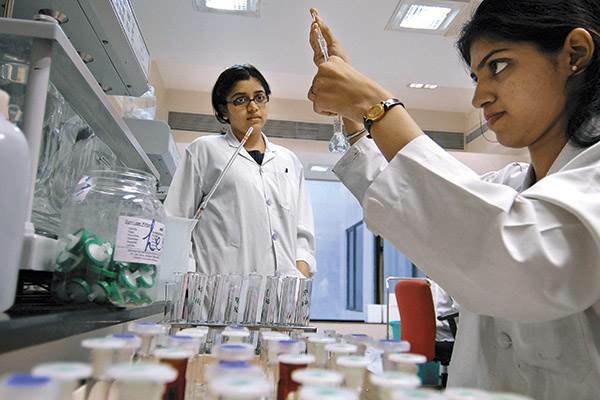 If you are among those who are confused whether to go for Engineering or Medicine, then you should consider Pharmacy. As a pharmaceutical scientist, you can have a bit of both worlds. If you are someone who enjoys counselling and interacting with patients, then Clinical Pharmacy is also there. Government job options like Railway Pharmacist or Drug Controller are also there; although they are competitive but exclusive for Pharmacy graduates. There are many other career paths and prospects in various industries – Pharmaceutical, Food, FMCG, IT, Healthcare, Academia, Govt. sector etc. But, I will discuss them in details along with current problems and future prospects in the follow up article. To sum up, Pharmacy is a very exciting field. It is competitive, but career prospects are exciting and rewarding. This is something I am saying from my own experience. Last but not the least, pharmacy is a great field to serve the society and mankind – hence a noble profession as well. In the next post, we’ll look at the various Career paths in Pharmacy. hi, very nice article. but I want to know about ph.d . since very few university carry ph.d in pharmacy and students are left with no other option then to get to life science. If you are talking about PhD in Core Pharmacy (or Pharmacy Practice), then that’s basically Pharm.D (Doctor of Pharmacy). Pharmacy is not like other traditional streams like Physics, History, Economics or Engineering where you do a traditional PhD after Masters degree. Community or Clinical Pharmacy is a practice and training based profession like Medical profession; and not like de facto in-depth research. You won’t find too many MBBS graduates or MS/MD graduates doing PhD. However, MBBS or MD graduates can go for PhD in Life or Bio-medical Sciences if they want to get involved in research in Clinical or Basic Sciences. PhD in Pharmaceutical Sciences would be quite vague. PhD means conducting research and studies on a particular topic (within a specific or inter-disciplinary field). You have to choose either PhD in Pharmaceutics (Drug Delivery), Pharmacology, Analytical Chemistry or Medicinal Chemistry. As you can see in the blog itself – due to the absence of a proper Doctoral course in Pharmacy, the Pharm.D program got introduced (2008). Do not go for the name or glamour of the degree – B.Tech. MS or PhD. Be clear what you want to do, and then go for the course accordingly. I want to know MBA pharmaceutical management college and admission exams, process for scholarships etc. MBA in Pharmaceutical Management is a very nice choice. I should have covered the topic in the article itself. Thanks for posting this query. The top 5 institutes have their own Entrance Exams, followed by Group Discussion and Personal Interview rounds. Regarding the other institutes please check their websites. I am Nia lopez mailing from Kerala,India.I have completed my MPharm in pharmacology with distinction by Sept 2015.I am actively seeking for a PhD position abroad mainly at US and also Germany.My research interest lie in the field of pharmacology,and especially neurodegenerative disorders.I have done a project in epilepsy as apart of my MPharm curriculumCan you pls guide me in this concern….I really wanted to join for FALL admissions..2016..Is it possible for me now?? I have sent reply to your query on LinkedIn. For other readers – You need to start looking for PhD at least 18 months before the desired intake. For Germany and other European countries, you can get admitted at any time during the year, provided you followed the Open or Forced PhD Applications Method (https://www.mbacrystalball.com/blog/2015/07/10/phd-in-biomedical-sciences-admission-tips/). I know someone (whom I helped a little bit) from Pharm.D background – she started looking for PhD in Jan 2015, and got a fully-funded PhD (in Cancer Biology) at Imperial College London (UK) for the Fall 2015 intake. In this case, she applied to the right place at the right time. But, this might not be the case always. So, start your PhD hunt early enough. For PhD in the US, ideally you need to contact few PIs and get an approval. Clear your GRE and TOEFL/IELTS at least by October if you are looking for the Fall intake net year. As in your case, yet your potential supervisor (at Purdue University) has advised you to submit the score later, since you haven’t given your tests. The Dept./University needs to receive the application (including test scores) by the official deadline. The test scores are important – waiver is not available in the US. However, if the Supervisor approves, you can submit later; but of course before the extended deadline. Last but not the least, you have finished your degree in 2015. Do not stay idle for a long period. Keep a back-up plan. You will get to know about the application decision in February/March/April. So, to keep your chances open for the Spring 2017 or Fall 2017, do take up a job – I prefer taking up a Project Assistant / Junior Researcher role. Taking up a role of Lecturer / Asst. Professor is good. But, if you apply for PhD with 2 – 3 years of teaching experience, chances might get lower, especially for European positions. Feel free to give a shout if you need further help/advice. I have recently completed MSc. in Molecular & Human Genetics from the centre for genomics, Jiwaji University, Gwalior, India. I want to do the PhD from European countries. I’m particularly fascinated from two subjects as Immunogenetics and Molecular Genetics and also want to do in these subjects. Please suggest me appropriate lab and procedures for entry. You can should try Germany, Switzerland, Spain and UK (especially Cambridge and Oxford). Pleas refer to my previous post for MBA Crystal Ball: PhD in Biomedical Sciences. You will find links for International PhD programs in Europe. Do look up IMPRS (Germany), IRB Barcelona (Spain), ETH Zurich (Switzerland), CeMM (Austria), FIMM (Finland) and IGBMC (France) for your topic. You should also try CRG (lot of projects are available currently; deadline is around 2nd week of January every year). I would also suggest Peter MacCallum Cancer Centre (University of Melbourne), if you are open to labs outside Europe. They are doing some really exciting stuff in Cancer and Immuno-Genetics. I would always advise to select a Project and Supervisor (and then funding); and not to be too pre-determined about location for getting a fully-funded PhD position. You can also look for my Newsletter on Scholarship & PhD Updates (every Monday). Two more nice places in Spain (apart from IRB Barcelona), especially for Genetics. Barcelona is kind of in the process for being a hub for Genetics Research. Stipend might be a little less, but living expenses are cheap (if you compare with cities in Germany or UK). If you can suggest me universities in USA/Canada for PhD options with these scores.Subject-Cell molecular biology, Microbiology, Biotech, Biomedical sciences. Would be grateful for your suggestion. Cell molecular biology, Microbiology, Biotech, Biomedical sciences – they are quite broad. If you could let me know few topics – neuroscience / synaptic plasticity / cell signalling / drug development / genomics / stem cells / cancer biology / biomarkers etc., that would help me to narrow down the universities. Please be advised that 1 publication during 10 years lab experience might raise few eye-brows. Admission committees and PIs might expect at least 3 – 5 publications from someone with your profile. Although that will not be end of the world. If you propose a good research idea, you will definitely get in to a top university. The main requirements for PhD are always self-motivation and creativity followed by technical expertise, Test scores, publications and recommendations. I would admit that’s quite a tricky one for me. Well if you are too keen about moving in to the Pharmacy domain, you can consider doing a correspondence / part-time course on Pharmaceutical Packaging, Regulatory Affairs or Pharmacovigilance. You can also opt for MBA program if you want to get in to the Sales / Marketing / PMT roles within the Pharmaceutical sector. If you have got a background in Electronics & Communication, you can consider a full-time Master program in Bio-Medical Engineering – that will give you excellent career opportunities in the Bio-Medical / Healthcare domain. Sorry I can’t be of too much of help in your case. 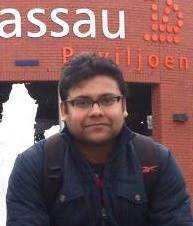 I am abhishek,a student of iiser kolkata.I am studying in 2nd year and have a huge interst in neurosience. Sir,can you help me with the details of how to study for the next 3 years,and how can I complete my phd in neuroscience from the best university of the world. You are in your 2nd year; the above suggestions should be good enough at this stage. Feel free to get in touch once you are in your 4th year. I’m studying my 3rd yr Bio Medical Science ( 4 yr bachelor program) in Chennai University, I’m interested in doing my higher studies & PhD in Human Genetics in foreign universities. Please guide me in this regard. If you are targeting US, then you should start preparation for GRE+TOEFL. I would also advise to get involved in internships and research projects outside your host institute. You can try the summer projects at places like IIT-Bombay, IIT-Kanpur, TFIR or CSIR labs. If you are inclined towards Europe, then Masters degree will be essential (even if you have got a 4-year Bachelor degree). You can refer to my PhD Application/Admission Blog on MBA Crystal Ball. For Australia/New Zealand, 4-years Bachelor degree is good enough. GRE is not mandatory if you have got 1 – 2 years of solid research experience. You should also try Korea (KAIST, Pohang), Japan (University of Tokyo) and Singapore (NUS, Nanyang, A*STAR etc.). Do let me know if you have got further queries. i passed 10+2 in 2014 )PCB) with 90% marks..couldn’t clear medical entrance exams..then due to some circumstances i had to join bsc from ignou which is distance learning..now i am worried about my future plans.. after completing my bsc degree from ignou, will i be eligible to join any kind of masters course in biology/ biomedical field in countries like usa and uk..so sir i want ur help that is my future dark becozz of a distance learning degree from ignou or i still can do something?plzz help..
A Bachelor degree from IGNOU will not stop you chasing your dreams of pursuing Master degree in the US or UK. IGNOU degree is indeed recognized by UK universities. However, getting in to a top tier university for a research-based course might be tough. But, you can definitely get in to a top-40 or top-60 university in the UK for a Taught Master program like MSc Biology / Biochemistry / Biomedical Sciences. US could be a little tough. Apart from few specific universities, US in general do not accept 3-year Bachelor degree. What you could do is sending queries to Admission Officer (say around 18 months before the course start date). I would advise you to score as much as possible in your Bachelor studies. Besides, do look for work experience – summer projects or internship (even if they are not in the field of Biology). If you can present your application in a good way (through Personal Statement – why you opted for distance degree; the transferable skills gained from work experience; motivation for higher studies and career goals) along with good marks in Bachelor – there should not be any big problem. Problems and blockades will be there; you just need to figure out the ways around it. I wanted to post this query on your post regarding bio-medical science and scopes,but you see the site asked me to post it here. So,what I want to know is that is it possible for me to do M.Sc. in Biomedical sciences,if I have done my graduation in Chemistry,Zoology and Botany? And if yes then how to apply for the same and what are some good colleges to do the same. Since I am from a middle-class family,so I am not sure if my parents would spend quite an amount to get me admitted in some reputed college. So could you please suggest some college which conduct some entrance or something to get a seat there. And also,If after my graduation,I’d go for Msc in Chemistry,then would I be able to be a Junior scientist? If yes then please tell how? First you need to decide if you want to become a scientist in the field of Bio-Medical Sciences or Chemistry. Then you need to chalk out the path to reach your goal. If you enjoy both Biology and Chemistry – that’s also fine with your Graduation subjects. I am not sure if you are talking about getting admitted at a reputed university in India or Abroad. For getting a good university in India for MSc program: you need to maintain decent marks (ideally above 65% – 70% or CGPA 7.0 – 8.0). Few universities have got their own entrance examinations as well. Aim for a College/University where the research facilities (and Faculty profile) are good – that’s more important than ranking/reputation. If you look at the List of Top Colleges in the post above, that will help you to get an idea about the top Indian institutes for Bio-Medical Science / Life Science / Chemistry. NIPER and few other institutes are only for Pharmacy students though. For getting a good university in Abroad: If you apply early enough (at least 12 – 15 months before the program start) you can have very high chance of getting good scholarship. At Masters level it is difficult (not impossible anyway) to get scholarship to cover living expenses. But, you can always get scholarship to cover the tuition fees. Countries like Sweden and Netherlands offer Scholarships to cover both tuition fees and living expenses. In countries like UK, Germany, Norway, Ireland – you have to arrange your living expenses. If you get in to a good university, there is always options for availing bank loan. Even I belong to a middle-class family and my Father (now retired) was the only earning-member. I arranged the lion-share through bank loan only. So, if you are really motivated to become a scientist – don’t think about financial constraints. If some reason you cannot do your MSc in Abroad – that’s not the end of the road. You can always go for PhD (or Post-doc) in abroad. After doing your MSc in Chemistry you can get JRF positions after clearing NET, conducted by UGC (http://cbsenet.nic.in/cbsenet/welcome.aspx). Your article is definitely an excellent read for those who wish to pursue pharmacy courses and are confused on what to do. I am a B.Pharm student of 3rd year and wish to pursue a career in medicinal chemistry research. It would quite helpful if you could advise me on what track I should take. In order to pursue a career in Medicinal Chemistry research, ideally you should opt for M.Pharm in Medicinal Chemistry or Pharmaceutical Chemistry in India. You can also go for MS in Drug Chemistry / Drug Design / Molecular Chemistry / Organic Chemistry etc in abroad. In comparison to Pharmacology and Molecular Biology, India has got slightly more options available for Masters in Medicinal Chemistry. However, going for MSc Chemistry in India will be slightly difficult because you will get much stiff competition from BSc Chemistry or BSc Biochemistry candidates. Getting M.Pharm will be easier. If you crack GPAT, that will be great. Your earlier article on ‘Biomedical Science Jobs and Careers‘ is very informative and everything was in nut-shell. Thank you for such an article. I am currently pursuing my 3rd year in Biomedical sciences (Its 4 yr course) but I really want to do medicine. Could you suggest me how to apply for my M.D. degree studies in abroad and some of the best universities who would offer a M.D. Please guide me in this regard. You can go for fast-track MD (Graduate Programs in Medicine) in abroad, which are normally 4 years of program (3 years in few universities). You need to appear for entrance exams for respective countries (e.g. SAT, USMLE, PLAB, UKCAT, MCAT etc.). However, pursuing MD in UK, Canada or US is very expensive. Alternatively, you can go for MD in Caribbean / Philippines – be careful to choose good universities only. The Medical Schools in the Caribbean or Philippines do offer good preparation for USMLE / PLAB to prepare you for residency in the US, Canada or UK. I know that there is pathway for pursuing MD after BSc in Biology or Bio-Medical Science. But, I am not aware of the in-and-out of this track. So, I would advise you to contact the Universities / Medical Schools directly. From your article on ‘Biomedical Science Jobs and Careers‘ I could get quite a deep insight into the possibilities of pursuing a career in this field. However, it will be really helpful if you kindly provide me with your valuable suggestion regarding the universities to which I may apply for PhD in Biomedical Sciences for Fall 2016. I did my B.Sc. in Microbiology Honours from St. Xavier’s College ( University of Calcutta) with CGPA 7.8 and completed my M.Sc. in Biotechnology this year from University of Hyderabad with CGPA 8.8 . Also, I am the recipient of Gold Medal for being the university topper of my Batch. My master’s thesis project dealt with molecular pathways involved in ulcerative colitis pathogenesis. Currently, I am working as JRF in a DBT funded project that deals with dengue virus vaccine formulations. I have a review paper as first author that is ready to be communicated in reputed journal. I have experience of national and international paper presentations. My GRE score is 300 ( 149 Verbal/ 151 Quant/ 3.5 AWA) and IELTS band is 7.5. I have already applied to Kansas University Medical Center, University of Alabama at Birmingham and University of Kentucky. I would request you to suggest me few more universities where I may apply and also to enlighten me about the probability of getting an admit in the US universities for PhD with the above stated profile. All those three universities are good ones as per as your academic profile, test scores and research project. Hello Tanmoy, I have both Bsc and Msc degree in Biochemistry here in Nigeria and I will be interested in doing a PhD program in malaria research abroad. My master project based on inhibiting the enzymes of the trophozoite stage of the parasite with inhibitors and I will like to use the modern genetic engineering approach to the study and subsequently getting employed in the field. Kindly assist with the relevant informations. – Make a good CV and a short research interest (50 – 100 words). No need to make a long proposal at this stage. – Approach the PI/Scientists by email – include your research interest and a brief profile along with your CV (attached). Keep the email very short (100 – 150 words). – Do research and find out the labs. Google is helpful. But, PubMed will be more useful. Use different combination of keywords: Trophozite + Enzyme Inhibitor / Malaria + Genetic Engineering. Play around as much as you can. – Find out the the top labs and then contact them. – Once you get a positive response, you can work out the funding and admission procedure. Also look at the PhD vacancies of Wellcome Trust. They have got good funding schemes for PhD students from tropical countries like Nigeria & India. For your topic, I would suggest US, UK, Germany and Australia. Hello Tanmoy, I have an MSc in biotechnology from HNBGU and am currently working with a company that does data research around some rare diseases. I have woked on a Project. I want to go for a PhD abroad somewhere. kindly advise! If you have got some specific query, please share your research area (PhD on Rare Diseases or Data Science). That will help me to give you better suggestions. Thanks a lot for your previous response. It will be very helpful if you kindly enlighten me about the possibilities of getting an admit to the US universities Bio-medical science programs with a GRE score 300. Also, I would like to mention that most of the universities you have suggested have met their deadlines. So, I was thinking of applying to Texas Tech health science Center, Lubbock and University of North Texas Health science center. In this regard, could you kindly let me know whether the difficulty level in getting to a medical school ( health science center) is more than its corresponding university graduate school? Both Texas Tech and North Texas are reasonable options for your profile. Go ahead. I would insist you to have a try at Rutgers as well. I think they do accept applications till the first week of January for Fall intake. Their GRE requirement is obviously in the region of 310 – 320. But, your academic track record, achievements and project portfolio are very good. If you put a good fight with SoP and LoR – you can have good chance. Please accept my heartiest thanks for your suggestion. I will certainly look into the application process of Rutgers State University as you mentioned. Could you kindly give an idea about University of Nebraska Medical Center (UNMC) ? The kind of research going on in UNMC attracts me a lot, so just wanted to know what might be the chances? Apart from that, I have one doubt regarding admission to a medical school or health science center; is getting an admit to one such more difficult and less probable than its corresponding University. Yes, Nebraska has got a nice range of PhD themes, especially the IGPBS track. You are quite spot-on with that. – highlight your knowledge in basic sciences – Biology, Chemistry and Physics apart from Biochemistry/Microbiology. It’s an inter-disciplinary PhD program, so the Adcom want students with good knowledge in more or less all the subjects. – A tailored LoR will be very useful for this application. Regarding your query on admission to a medical school or health science center: Sorry, I missed on that last time. Honestly, that doesn’t matter. I was at University Medical Center Utrecht, where there were graduate students from both Medical and Basic Science background. It was exactly the same at Oxford. Top universities encourage diversity – not only in terms of ethnicity, but also in terms of academic and skill-set background. That’s how Science (or any other area) produces quality work. Sincere Thanks to you Tanmoy. I was actually planning to get some suggestions regarding the IGPBS track. Thanks a lot for that. Generally in these kind of interdisciplinary program, Universities ask for physics, chemistry, biology and calculus to be part of our undergraduate studies. Though, I had Physics and chemistry as my minors in my B.Sc. coursework but Calculus was neither a part in my B.Sc. or M.Sc. studies. Will that be a problem in getting admission to these programs? Thanks again for your detailed suggestions. If you had Calculus during your 10+2 days, you can mentioned that somehow (CV or SOP). If do haven’t got any exposure at all, it will not hamper your chances very badly. Solid knowledge of Biology, Physics and Chemistry (specially Organic Chemistry) are the vital requirements. Then you have got a decent score in the Quantitative section of GRE. So, you have got a pretty decent chance. Rather than ticking all boxes, it’s better you showcase your strengths in the best possible way. Applications are always judged on the basis of the overall profile. Thanks a lot Tanmoy. I will surely follow the links given and see for any positive outcome. Will surely contact you if any. Thanks a lot. Happy new year to you. I did my msc in biotechnology in 2004 i was wrking and i am married now, i recently wrote my gre n tofel got 310 GRE n 104tofel and my overall 5 is 70% for masters is there any chance of me getting into phd in anywhere in the world, i applied to 3 unis in eu, imprs germany, life sciences zurich n francis n crick, did not get accepted, in zurich they said age limit is 28. If I apply to US universities or any other eu universities, do i stand a chance for phd? Yes, it is a fact that quite a few International PhD programs in Europe have got age restrictions (28 / 30). Please be advised that it is not actually a case of age-discrimination. PhD demands a lot of focus and motivation; and long-working hours, especially in the final two years of the PhD. Owing to stereotype concept – candidates over 28/30 are more likely to be married (and/or with kids) and also less motivated/energetic than those in early or mid 20s. But, it’s not true in all the labs across Europe. First of all I would advise you to try US, Canada & Australia. You have done really well in GRE & TOEFL, considering the fact you had a gap. Do read my previous blog on PhD Admission & Application (https://www.mbacrystalball.com/blog/2015/07/10/phd-in-biomedical-sciences-admission-tips/). Try contacting the PIs/Professors beforehand. While applying to labs in Europe, try the Open/Forced Application approach rather than just Structured PhD Applications. If you need further help, please don’t hesitate to contact me. Thank You Tanmay, I am following open/forced application mode on US , but will try in EU as well.at IMPRS and Zurich were I got rejected. I had actually lost hope on EU after trying. I am infact married but do not have kids. I had written GATE and had scored 90% in life sciences but could not join anywhere due to some personal reasons. My life ambition is to do PhD and have a career in research , so I am determined to try my level best. Your blog is really useful for people like me, appreciate your replies and the admission tips. I have checked out the blog link you mentioned and I just sent out my second open/forced application(with the pain letter of course), hope I get for phd somewhere soon with full funding. You guys are doing an amazing job in helping 1000s of people like me. I am very pleased to see your motivation – that’s the main criteria for PhD (admission and completion) and research work. Just maintain that motivation along with patience, suitable opportunities will come. I have come across many PhD students in 30s and even 40s in UK, US, Switzerland, Germany, Netherlands and Australia. So, keep hanging there. Try to approach as many as people possible (but strategically and not random) and spend time on networking (LinkedIn / ResearchGate / Twitter). I’m in my 3rd year of bsc ,I want to go to US for my MSc in biomedical sciences can you suggest universities which offers the same. I also want to take a break and work for a year . Do you think it’s a good idea, if so can you suggest fields where a bsc graduate can get good opportunity to learn and work. Working for a year (or more) will be help increase your admission chances; so do go ahead. You can get opportunities both in academia and industry after BSc. Please refer to my previous blog (https://www.mbacrystalball.com/blog/2014/11/23/biomedical-science-jobs-careers/) for opportunities in Biomedical Sciences after graduation. Is it wise to appear in CAT and get a professional MBA degree? Can you throw some light on future prospects of such a move? If you do not feel any inclination towards research, don’t go for it. It’s in fact good that you know what you don’t enjoy. If you want to pursue a career in the Pharmaceutical/Biotech industry, especially Marketing/Operations – I would suggest to get some experience (at least a year or two) before doing MBA. If you end up in any one of the Top 50 Management institutes in India – then even a fresher MBA will be helpful. Sameer (Kamat) – would be more helpful in that case. If you can tell us in more details about your interests, that would help us to help you in a better way. I am an Mpharm pharmacology students currently will be persuing GRE within few days…I am intrested to apply few universities in mid west of USA..like perdue,minessota,illinoi chicago,ohio..Can you please let me know what is the GRE score required for those universities & also can you please tell me some universities in this mid west region where i can apply.I have experiences in cellular & molecular biology from IICB kolkata & IIT Kharagpur ..but i am intrested to work in proteins crystallisation or neurobiology…Is it possible to get labs working in these field in those above universities i mentioned? As per your interests, Northwestern, Purdue, Missouri, Michigan, Chicago, Wisconsin-Madison, Ohio State, Iowa State would be good choices. For those kind of universities, you will need to score something in between 308 and 319. I am an Mtech in Biotech. i have a few doubts that i hope u would be kind enough to clear. I have passed out in 2012 and i am keen about pursuing PhD in molecular biology. Unfortunately i dont have any experience for the past four years. Do you think it matters if i try applying??. Ive got an 8.4 GPA in bachelors and 7.8 in masters. Also i would like to know what is the process for getting funding for phd. do i have to apply before applying for PhD or once i get in to a program. It is fine if you have got a gap of 3 years after finishing M.Tech. However, I assume you have got a research gap, and not a complete gap. I am a student of 11th grade,science. I had a strong interest in medical field and so I took up pcb,but now the interest has gone,I am at dillema.I am so confused about my career. I don’t know what I am supposed to do after 12. But biology and chemistry are something I really like. Could please suggest me what are the career options I can take up? I’d be grateful to you sir. I have completed B.pharm from India and M.Sc in biomedical sciences from Australia. I have some laboratory experience as one of my research project was related to liver progenitor cells and other was related to HPV. Can you suggest on what kind of jobs I can apply with this qualification in India. Regarding positions in the industry (pharmaceutical / biotech), please refer to my earlier blog posts. I am student in 11th and have pcmb subjects…i am very much interested in doing research in stem cells ….is this a good time for me to focus on doing bsc in biology or try for mbbs? Shall i drop maths in12th?could u help me in suggesting me good collages & institutions to do research in stem cells. Thanks for your query. Stem Cell is really an exciting area to work on, mainly because of it wide range of applications (Cardiovascular, Cancer, Neuro-degenerative disorders etc.). Plenty of research work is happening, and lot of scopes will be there in the future. So, a good choice. I would suggest not to drop Maths in 12th. Having Maths will help you in the long run. In order to pursue a research career, I would suggest you to opt for BSc Biology / Zoology / Biotechnology / Molecular Biology / Bio-Medical Science at Undergraduate level. There are lot of good institutes. You can get some options from the university/institute list given above (for B.Pharm). One institute that is not there in the above list is Nitte University Centre for Stem Cell Research & Regenerative Medicine (NUCSReM). You can consider the Bio-Medical Science course at NUCSReM. Wherever you end up doing your Bachelors, do go for an internship/training program in 2nd/3rd year. Institutes like IBMR, NCCS, inStem, CSCR, IISC Bangalore do offer training opportunities (1 – 6 months). The best course at Masters level would be MSc in Regenerative Medicine. However, there are only two institutes in India (as far as I know) that offer MSc in Regenerative Medicine – Institute of Bio Medical Research (IBMR) and Manipal Institute of Regenerative Medicine (MIRM). In that case, going abroad (US or UK) for Masters would be a nice option. All these institutes offer good research facilities in the area of stem cells. Even if you do not get MSc in Regenerative Medicine (or Stem Cell Therapy), you can cover a lot on Stem Cells if you get into one of those institutes for MSc course. Do prepare yourself for pursuing PhD once you start your MSc. Respected sir , I m srinibas , I did btech in biomedical in 2014 . I want job , but I couldn’t find , please help me what to do ? To do mtech or MBA or any training program . please sir , I belong from middle class . If you have got a gap of 1.5 years on your CV, then it could be little difficult to get a job within the bio-medical sector. However, keep looking and try out all the possible avenues – friends, alumni, faculty members, LinkedIn etc. Doing an MBA at this stage might not help you too much. Doing a Masters at this stage would be a better idea. Make sure you do some quality internships during your Masters. One last piece of advice – even if you’re getting a job offer with low salary, do take it up (provided you are getting a good exposure to techniques). But, don’t keep waiting for a lucrative offer at this stage. If you still can’t get anything within the next 3 months, go for Masters. I am Neha. I am doing B.Sc in Biomedical science in DU, 3rd year. I am interested in doing PhD abroad, most probably USA. But for that I need to get into a good college for M. Sc. with good quality research. Can you suggest some colleges for M. Sc. in India. My research interest is Molecular Biology, Genetics, Immnunology, Oncology. Please refer to my reply for Sagnik (just the previous comment). You should also have a look at the institutes that I mentioned in the article itself, and other comments. Generally it is a little bit hard to get MSc Organic Chemistry with a B.Pharma background in India. You can opt for abroad for that (except Germany; Germany also do not accept MSc Chemistry applications from B.Pharma background). In India, I would advise M.Pharma Pharmaceutical / Medicinal Chemistry for you. Sir can I apply for masters in clinical pharmacy with my B.pharma degree. I have scored 8.0 bands in IELTS and have an aggregate percentage of 75%. With all the comments this post has got, it has grown beyond it’s genetic capabilities. Thank you dear Tanmoy for your extreme good work for the new generation of India.Keep it up. I’m Lakshmi doing my pharm.D 4th year.which exam should I go for if I want to do my PhD in abroad especially in clinical research or is there any scope of doing md pharmacology in India or abroad.Also let me know about any training for clinical research and pharmacovigilance.